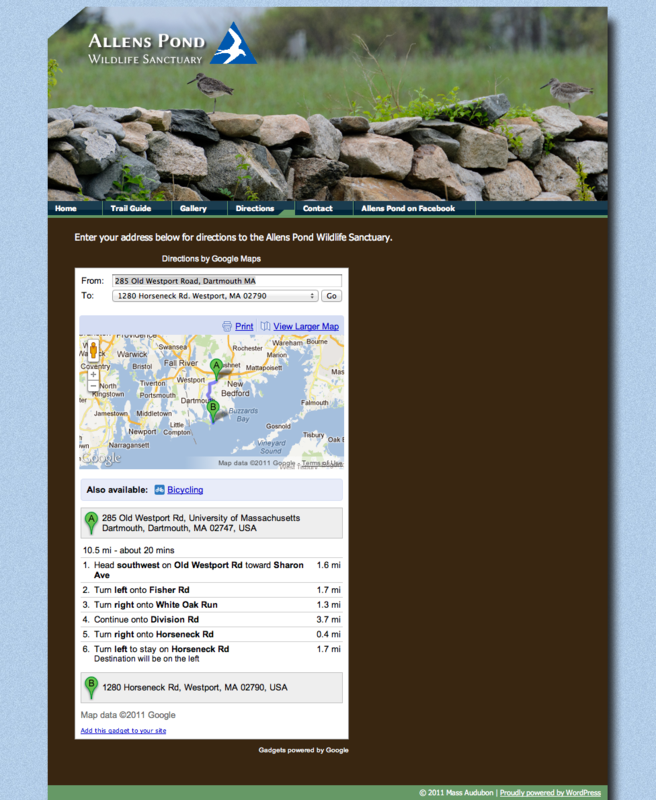 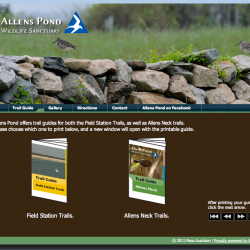 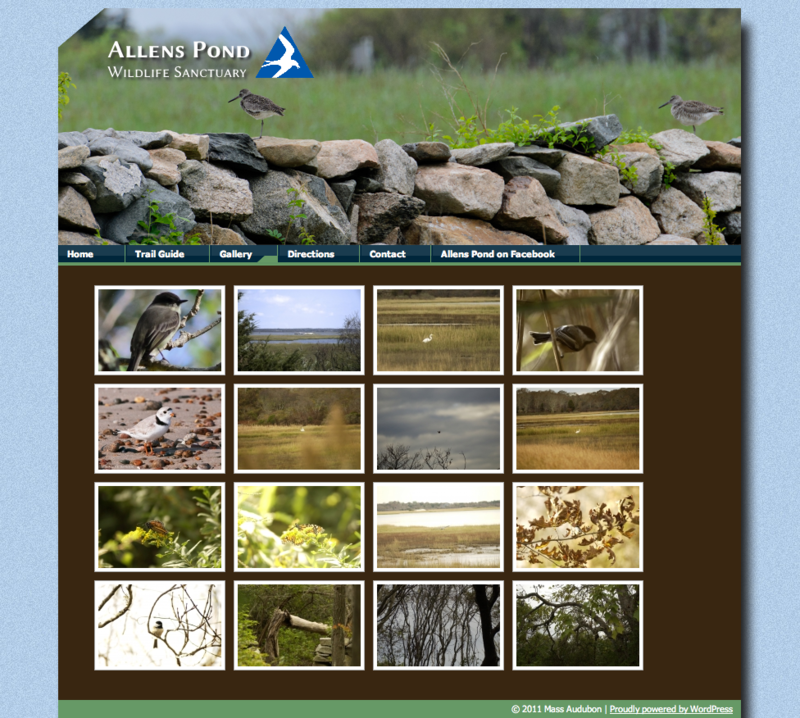 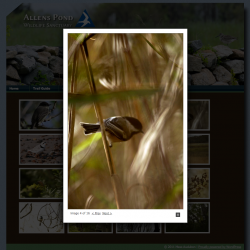 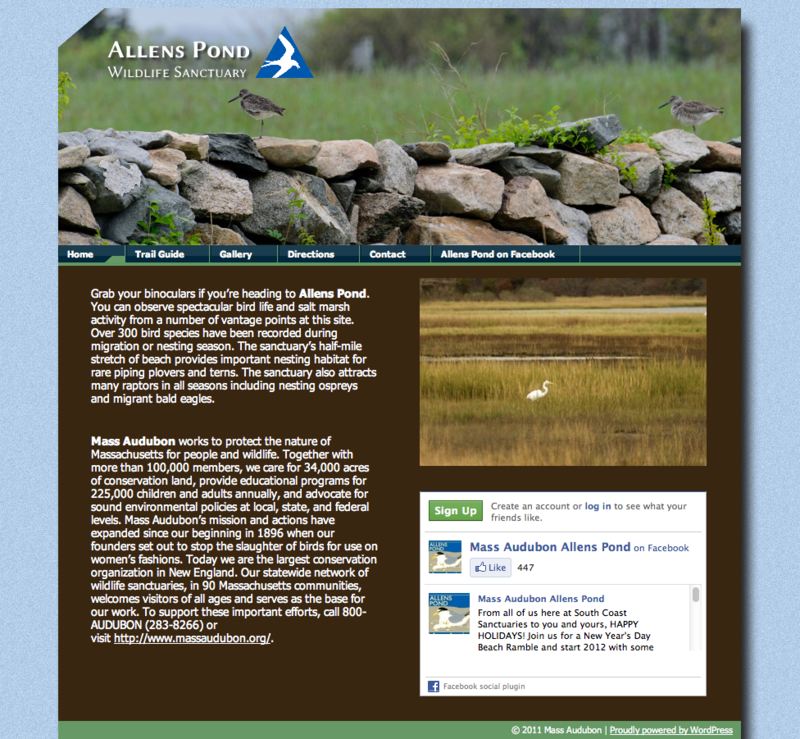 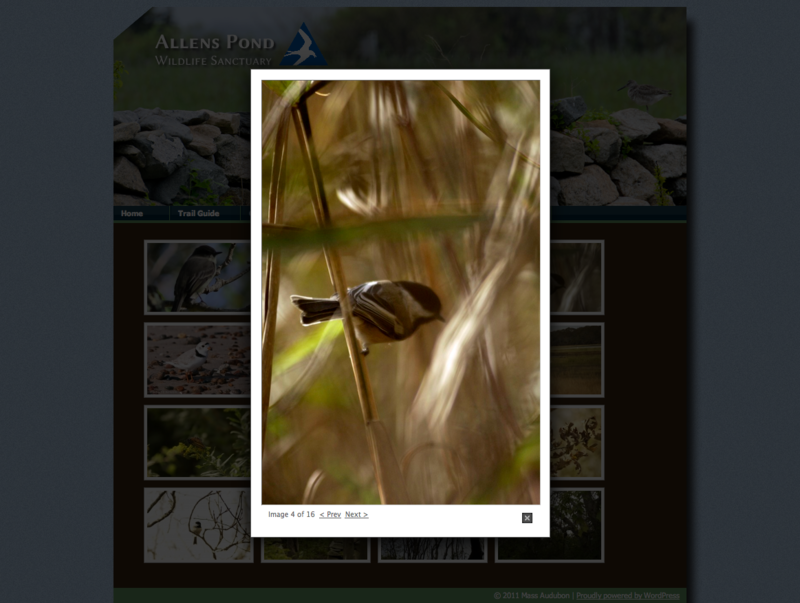 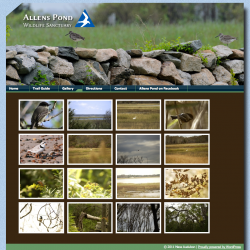 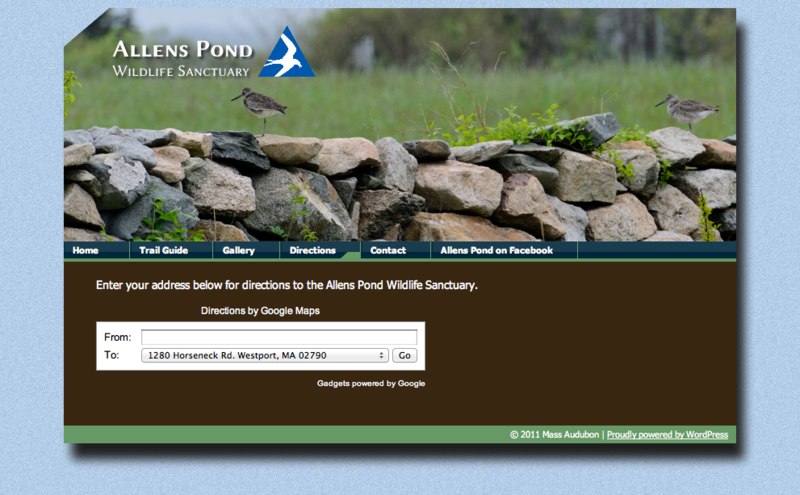 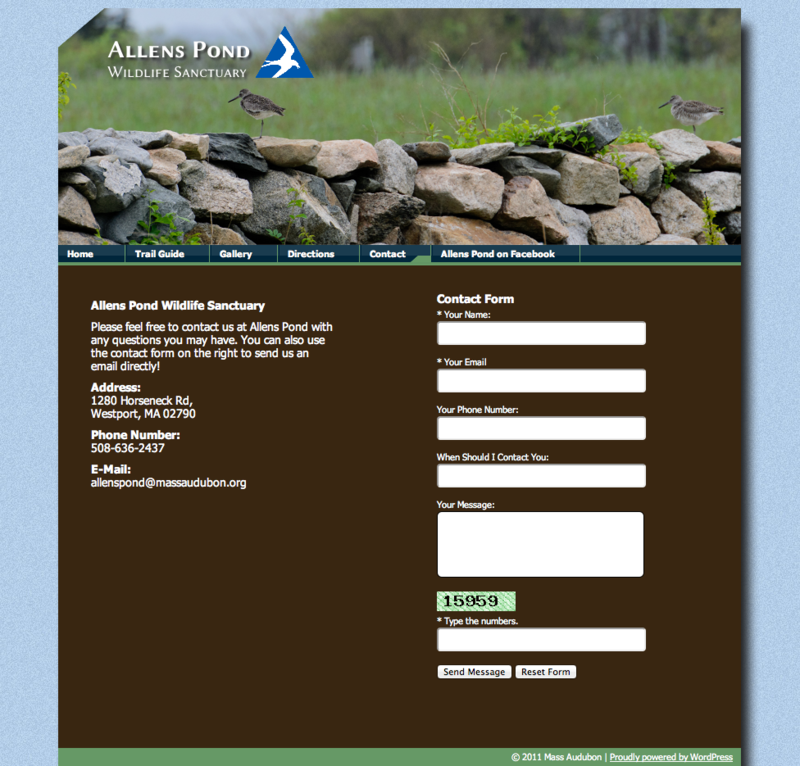 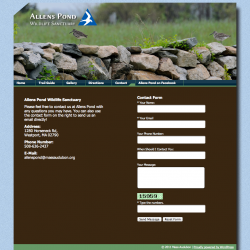 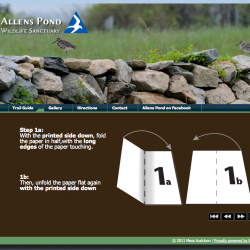 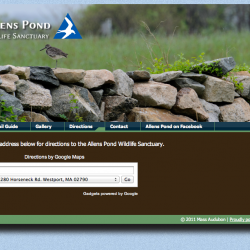 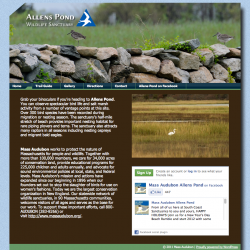 The goal for this project was to redesign a website for Allens Pond Wildlife Sanctuary (a Mass Audubon sanctuary) that would allow people to easily find information about the sanctuary. 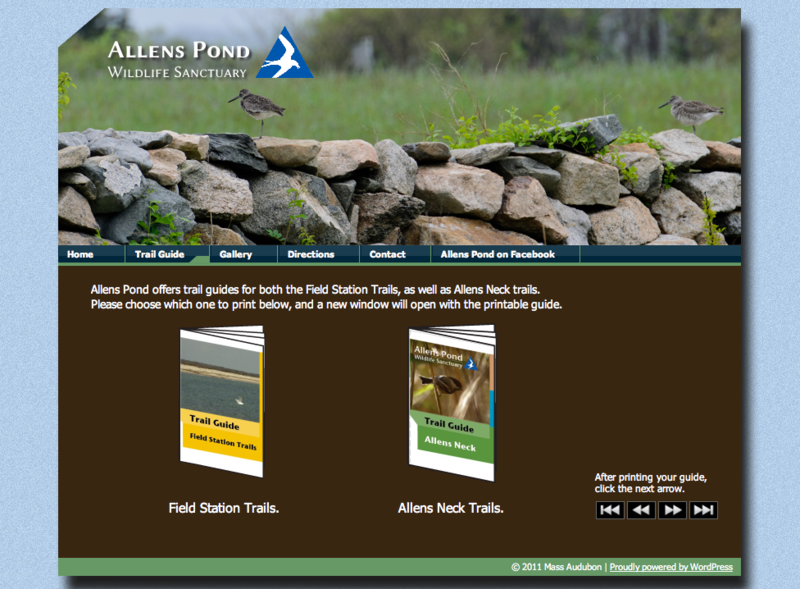 Along with the website, a printable trail guide and interactive assembly instructions were created. 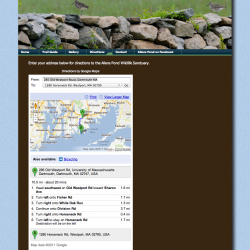 All photographs used on the website and trail guide were taken by me at the sanctuary. 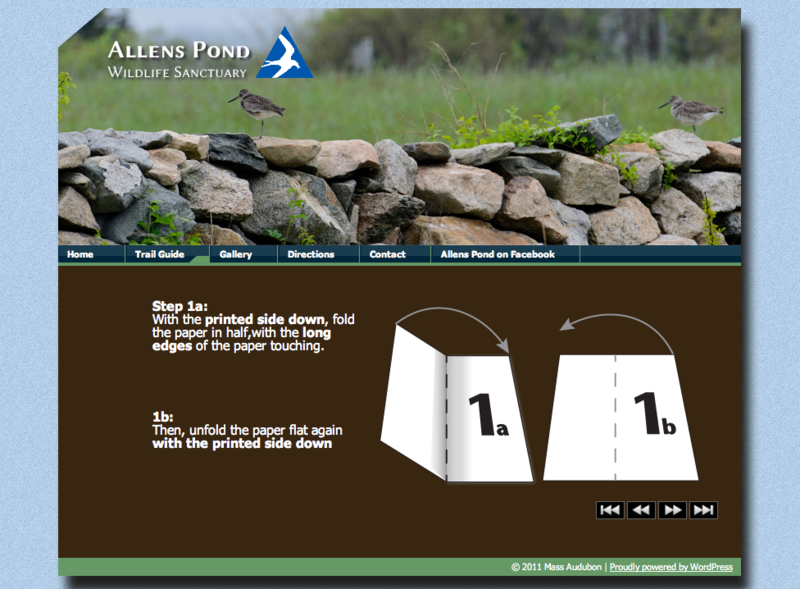 You can view this project live, right here.